Out of all table-based games, there is something that is unique about foosball when compared to the likes of pool or table tennis. Foosball is both easier to approach than many other games while simultaneously being much more challenging to master. If you don't believe us, take a look at some of the trick shots that veteran players can make. 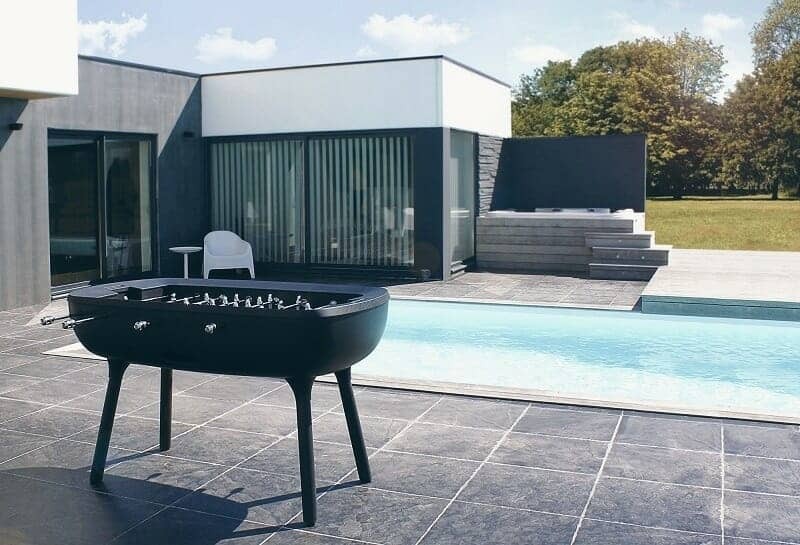 Outdoor foosball tables have been gradually gaining popularity for a few reasons. 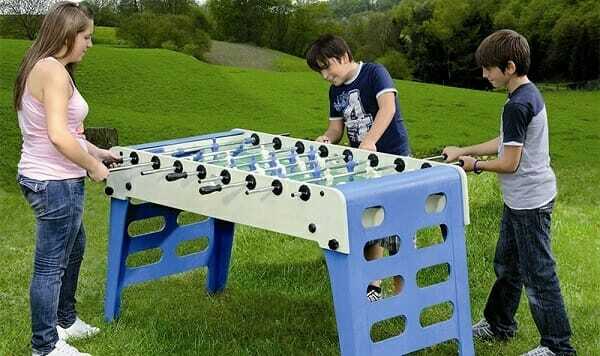 And if you're looking to purchase one, it only makes sense that you will want the best outdoor foosball table possible. 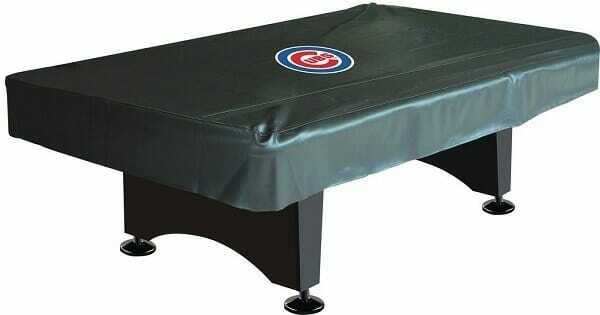 Unfortunately, these tables can get somewhat pricey, so you don't want to end up dealing with buyer's remorse. First of all, having such a large table delivered will be pricier than having a much smaller product shipped to your door, and the return costs can be just as harsh. There is also the matter of having to deal with assembly and disassembly when you decide to return your outdoor foosball tables. In the end, you are much better off ensuring that you make an informed decision when looking for the best outdoor foosball table as it will save you a lot of time, effort, and money. So how exactly can we help you when it comes to finding the right product for your needs? 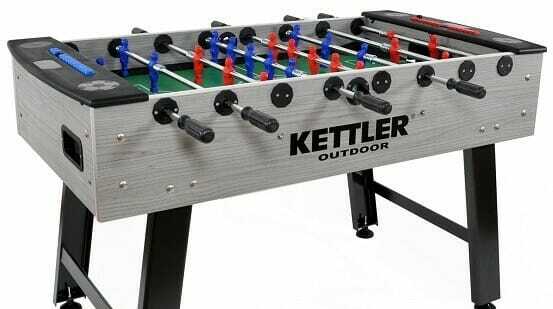 Over the course of this guide, we’ll be covering all of the best options in our outdoor foosball table reviews. We will be covering each of the models that are viewed as the best options for outdoor play right now. 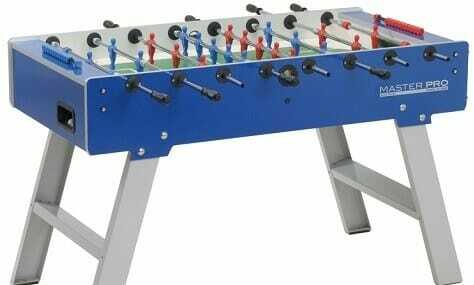 Of course, this guide is about more than just reviewing the best outdoor foosball table options. 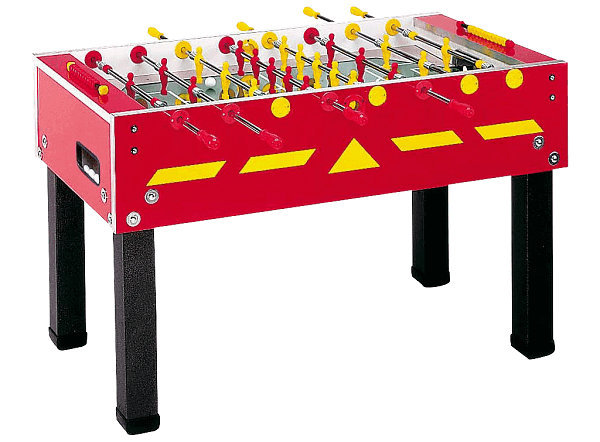 Once you have read over our reviews of the best outdoor foosball tables, you can continue reading to find some useful info that should help you make your purchase. Of course, if you already know what you want out of your outdoor foosball table, then the subsequent section may not be as useful for you. Regardless, without delaying any further, let’s move on to our best outdoor foosball table reviews. The Garlando G-500 Weatherproof foosball table is an excellent option for those of you that want a foosball table that will last a lifetime. Made from high-quality marine plywood that is protected with plastic laminate, which makes it resistant to water and sun damage. With a table like this, you can bring the fun outside if you are the type that loves barbecues and throwing outdoor parties. You can also play outdoor foosball all night long with all your friends outside during the summer or the winter if you can handle the cold. The best part is is that you can leave the foosball table outside without having to move it inside each time you are done playing. This is due to the laminate since it will not get damaged by rain and the special glue that is used to hold the foosball table together. The legs are very sturdy and are held together using this glue to ensure that it stays strong no matter what. So, if this is an issue that you have had to face with other foosball tables, we assure you that you will be delighted with this one. Another great thing about the waterproof feature of this foosball table is that the lines that are used for the game itself that is painted on the board will not fade as they are made from a special ink that will not be affected by the sun or water. This feature enables your foosball table not only to last a long time but to look brand new every day. Most of the customers that have invested in this table also love how easy it is to assemble, with many finding that they did not need any assistance during the process. If you are interested in adding this foosball table to your home entertainment, you will be able to buy it for around $1,175. 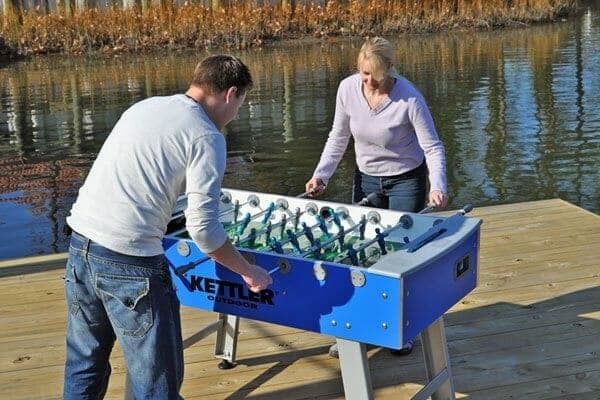 The KETTLER Montecristo foosball table is a product made in Italy that enables you to play one of your favorite games outdoors. This foosball made to make the game experience a lot easier and convenient. It is equipped with five balls so you won’t have to worry about investing in any extra, and sloped corners to keep the game going. If you know a thing or two about foosball, you know that it is somewhat annoying when you have to start another round or pause the game just to get the ball out of the corner or serve another one. The ball will go up the sloped edges and come right back to the center of the game, making your game longer and less frustrating. This table also has a ball drop and ball box, two features that enable for easy accessibility during gameplay. The ball box is a compartment at the bottom corner of the foosball table that lets the balls that are scored go down into the chamber. It is conveniently located so you will not have to retrieve the balls elsewhere. You merely have to bend down a little and pick one up. The ball drop is located in the center of both sides of the table. Its purpose is for the ball to be served on the table fairly instead of by the person who lost. The ball is placed on the drop, and it slides down onto the board so that both of the players have a fairer shot at hitting the ball. With all the fantastic features that this foosball is equipped with, you would think that it will be expensive. But, it is relatively affordable for a foosball table, costing you near $1,200 if you are interested in adding this product to your home. If you are looking for a foosball table that is affordable and fun, the Garlando Master Pro outdoor table is the perfect product for you! This outdoor foosball table is the easiest one to assemble with simple instructions and hardly any tools required. It is also made with foldable legs so you can move it around when you see fit. It is also equipped with a laminated plastic covering that adds durability to the table. This is the material that enables it to be a foosball outdoor table instead of being limited to indoor use. Having an outdoor foosball table allows you to have fun doing outdoor activities without worrying about it becoming damaged over time. Another great feature that this particular foosball table has is abacus scorers, which are tiny blocks made into the table that can be shifted from side to side. This feature enables you to keep score easier by sliding over one of the blocks every time you get a point. The design of the playing field is also unique. It is painted the same color of grass and has the white lines painted on the field that resemble the ones you see on soccer fields. If you think this is a table that you would like to add to the outdoor entertainment area that you have, you will find that the price is very affordable for this quality, with prices starting as low as $1,000. If you’re looking to play some foosball games outdoors, the first thing that you will want to consider is whether or not the table you have chosen is capable of resisting the elements. Nobody wants to have to pack up in moments and go scrambling inside at the first sight of rain. It is for this reason that you may wish to invest in an outdoor foosball table that will not be damaged through exposure to water. Some foosball tables are even designed to put up with a reasonable amount of snow, meaning that you can still enjoy outdoor foosball in the winter. This is important factor when picking from outdoor fosball tables. While you may think that this feature is closely related to waterproofing, it typically requires that the table be put through more work and preparation. Most waterproof tables will have to be dried before being stored away while rustproof models will not be damaged if there is a bit of moisture remaining. If your chosen product is not rust proof, you may wish to invest in a foosball table cover, outdoor conditions can be somewhat challenging, and it should help prevent your table from getting rusty. The priciest models on the market will be able to resist rusting even with extreme exposure to water. Of course, you will have to be able to get your outdoor foosball table outside in the first place, and one that is a challenge to transport will typically not be worth buying. The best outdoor foosball table can usually be carried and reassembled by one or two people, and anything beyond that starts to get unreasonable. There does reach a point where you will have to make a compromise between portability and the game experience, so you will have to decide which one means more to you. If you have a vehicle with sufficient room to transport one of these tables, we would recommend opting for larger models for more enjoyable gameplay. Can It Stay Outside Year Round? This is more than a single aspect as it consists of a combination of qualities like waterproofing, rust-proofing, durability, and reliability. An outdoor foosball table that can be left outside all year will typically be more convenient as you won’t have to set it up and tear it down everytime you want to play. The quality of an outdoor foosball table will often be dependent on what was used to construct it in the first place. Many tables are made of polymers or other types of advanced materials that will not start to degrade as easily as the things that are used in the construction of indoor tables. While this may seem like a trivial concern when compared to some of the other features that could be present in your chosen model, an outdoor foosball table cover is extremely useful. An outdoor foosball cover can prevent rain, dust, snow, or dirt from getting into the workings of your foosball table. The inclusion of a cover will make it much easier for you to leave your outdoor foosball table out of the house year round. Finding the best foosball table on the market is not as much of a challenge as you would assume if you have the patience to go over some of the highest quality models. We hope that this guide has been able to provide all of the information that you need, feel free to leave any comments down below.